or get left behind in the digital dust! Canada’s business growth has never been better than it is today. Toronto, alone, has 12 key sectors that keep its economy virtually recession resistant. Nineteen firms in Ottawa have added almost 2000 full time equivalent jobs over the past seven years, greatly benefiting the capital region. Vancouver is leading in social venture start-ups. No matter where you look, business in Canadian cities is growing quickly and if you don’t have an effective website design your company could be left in the digital dust. Consumers spending money fuel the growth of businesses in Canada and around the globe. The easier you make it for consumers to shop your products and services on your ecommerce or brick and mortar store, the more likely it is that your business will be successful. Given that 80% of all consumers shop (if not buy from) Canadian businesses online, often using their smart phones, you need a visually impressive mobile responsive website design. An effective mobile responsive website design makes it simple and easy for consumers to shop and make purchases from your online store. A web site that isn’t mobile responsive is often difficult for consumers to use on their smart phones. They may not be able to successfully navigate your site and your ecommerce store. This poor navigation can extend to tablets and iPads as well, further alienating a large portion of your potential customer base. If your website cannot be navigated by mobile devices, those potential customers will simply click to another site, most likely your competitor’s website design, which is easier to use. 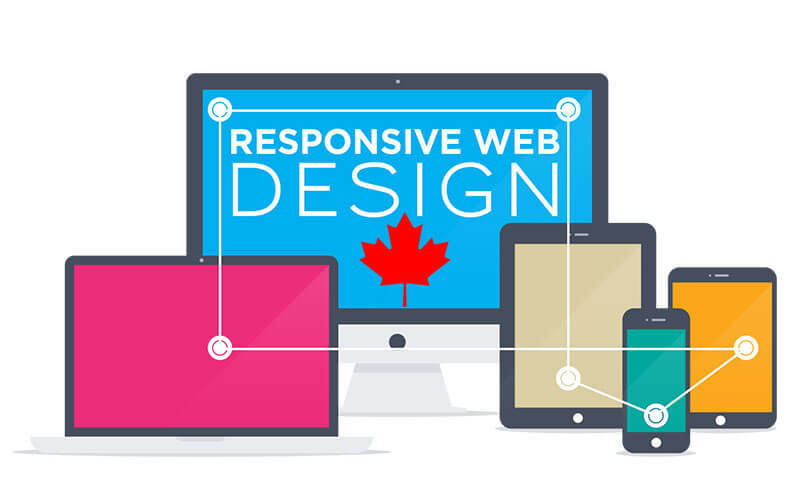 A mobile responsive website design will appeal to far more than just your Canadian customers. Mobile device usage is on the rise worldwide. A mobile responsive website design offers your business the opportunity to attract, convert, and keep consumers from around the globe. Ensure the international capacity of your business with a mobile responsive website design. As a Canadian company ourselves, the mobile responsive website designers here at Though Media will be happy to assist you with all of your web design needs. Call us for your no obligation needs analysis 1 (800) 916 3864.